Available with us are superior quality Fiber Glass Textile Products, that are made using quality Fiber glass, which can sustain temperature up to 1000° F. Moreover, these products are best acknowledged for high thermal resistance and find wide application in various industrial insulation applications and seal & gasket applications. 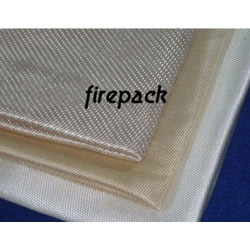 Fiberglass textile products are made from high temperature fiberglass, for 1000° F level applications. They have outstanding heat resistance, high tensile strength, low thermal conductivity, and excellent chemical resistance. We are engaged in offering our clients with Fiberglass Textile Square Braid, which are highly efficient for wide range of applications. Further, these products are designed to withstand high temperature. Also, these are highly durable and have high tensile strength. We offer these products in various technical specifications as detailed by clients. Our company specializes in offering qualitative range of Silicon Coated Fiberglass Roll We are a prominent Silicon Coated Fiberglass Roll manufacturer and supplier based in India. We are the leading manufacturer, supplier and importer of Fiberglass Roll Shree firepack safety pvt ltd specializes in offering qualitative range of Fiberglass Roll. 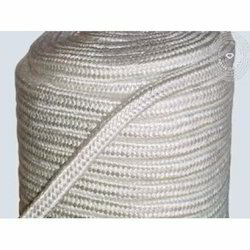 Also our range of product include like yarn, ropes,cloth,webbing tapes,fire blanket,aprons,suits,welding blanket,coated & uncoated fabrics made of asbestos,non asbestos material like glass fiber,cermaic fiber & silica. We are instrumental in providing our valued clients with Fiberglass Textiles tapes, which are woven from textured yarns specially developed for high temperature thermal insulation applications, retaining a high degree of softness and flexibility. Moreover, these tapes are resistant to oils, solvents and most chemicals. Our prices are nominal as compared to others. We are a prominent Fiberglass Textiles manufacturer and supplier based in India. 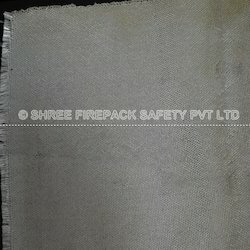 Shree firepack safety pvt ltd specializes in offering qualitative range of Fiberglass Textiles. 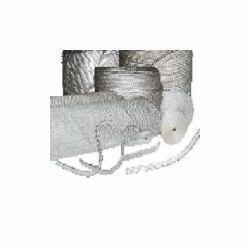 Also our range of product include like yarn, ropes,cloth,webbing tapes,fire blanket,aprons,suits,welding blanket,coated & uncoated fabrics made of asbestos,non asbestos material like glass fiber,cermaic fiber & silica. Woven from glass fiber textured yarn upon shuttle looms to produce required size. Insulation Fiberglass Cloth is used as heat insulating material and an excellent substitute for asbestos cloth. It is widely applied as insulation of soft or hard tubes, heat insulation covering of heater and cooler, fire resistant shell, other insulation protecting covering and insulation of watercraft equipment because of its brilliant characteristics of high intensity, low density and good insulation. Owing to the immense experience and a competent team of personnel, we are able to dispatch a supreme range of Fiberglass Textiles Products. The offered range is tested on different parameters to ensure its adherence with the industry laid norms and standards. Moreover, the offered range is available in various forms and specifications to meet the assorted demands of respectable clients. 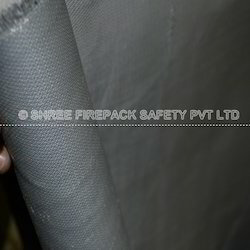 Shree firepack safety pvt ltd specializes in offering qualitative range of Roving Fiberglass. Also our range of product include like yarn, ropes,cloth,webbing tapes,fire blanket,aprons,suits,welding blanket,coated & uncoated fabrics made of asbestos,non asbestos material like glass fiber,cermaic fiber & silica. 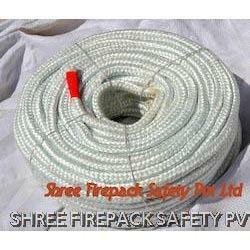 Shree firepack safety pvt ltd specializes in offering qualitative range of Fiberglass Roving. 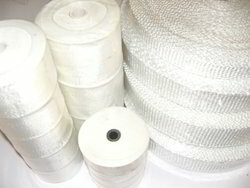 Also our range of product include like yarn, ropes,cloth,webbing tapes,fire blanket,aprons,suits,welding blanket,coated & uncoated fabrics made of asbestos,non asbestos material like glass fiber,cermaic fiber & silica. Looking for Fiberglass Textiles Products ?